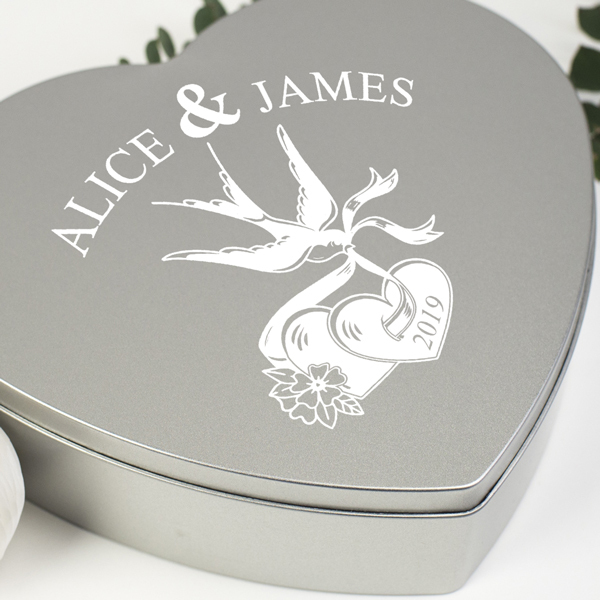 This beautiful Personalised Valentines Heart Silver Tin makes a thoughtful Valentines gift for the one you love. Features your names and date in a love tattoo design in white. 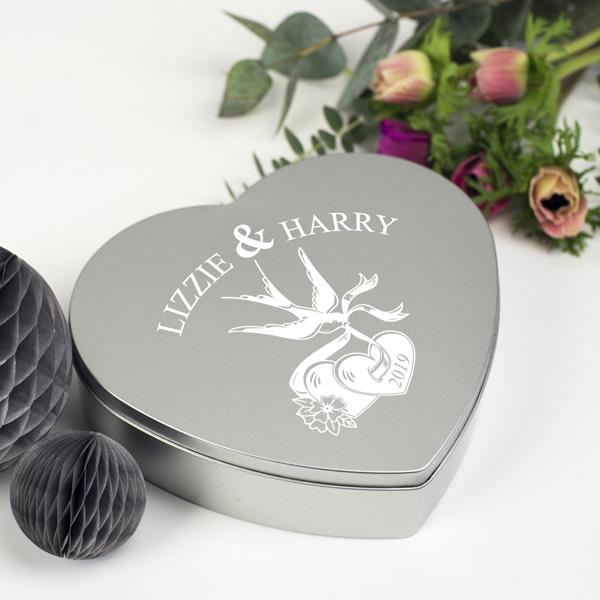 This lovely Personalised Valentines Heart Silver Tin makes a thoughtful Valentines present for the one you love. 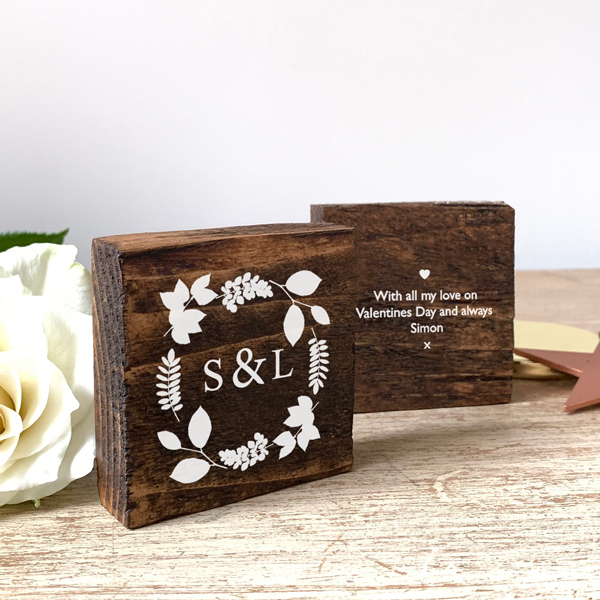 Fill with love letters, their favourite chocolates or use as a gift box for thoughtful Valentines gift you have already purchased. The heart tin is personalised with your names and the year. 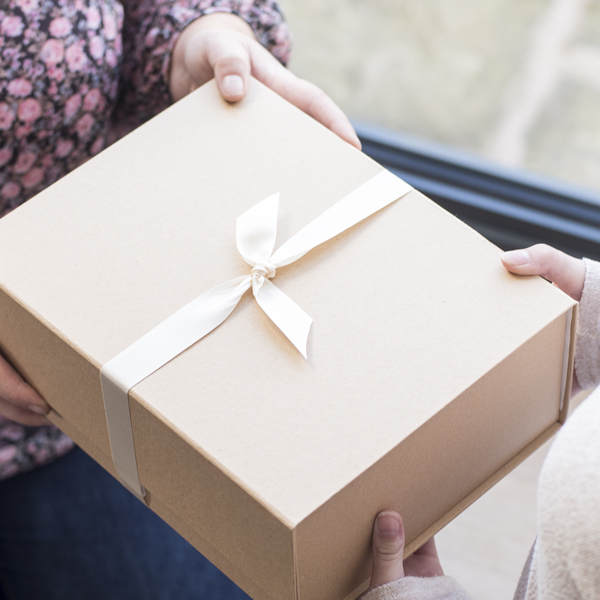 A unique Valentines gift for a special couple. 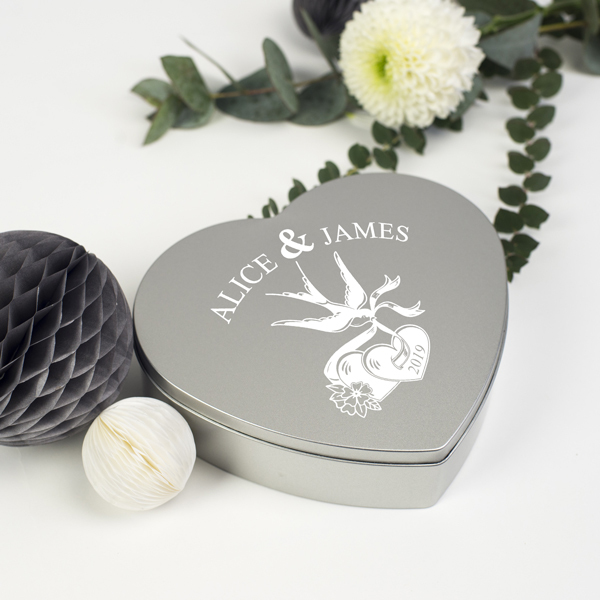 This siver heart tin also makes a great gift choice for a couple celebrating their 10th wedding anniversary – signified by tin, or their 25th – silver. 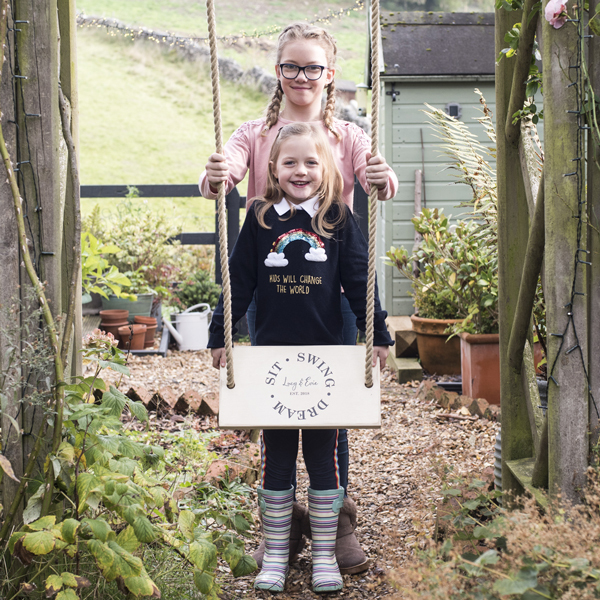 Perfect to keep small keepsakes, photos, tickets and momentos in.